Sihanoukville is without a doubt the number one coastal resort in Cambodia. 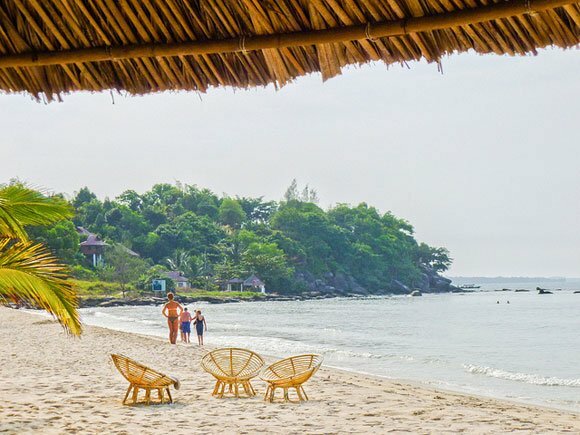 This is due to the sheer variety of undeveloped coastline, with around 10 white sand beaches and over 20 virtually undeveloped islands available for visitors to enjoy. 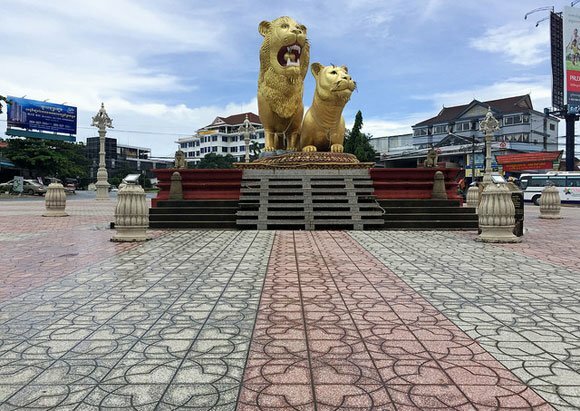 Attracting hundreds of thousands of tourists and expats each year, Sihanoukville has blossomed during the past decade into one of the top destinations in the country after Phnom Penh and Angkor Wat in Siem Reap. It is a beach town which has something to offer pretty much everybody, whatever your budget range may be. English is widely spoken as the second language of choice for locals thanks to the demands of the booming tourist industry, making communication easy. And, there is no shortage of variety of things to do and see here. There are banks and ATMs on almost every street in the downtown city area and both mobile phone coverage and internet accessibility are plentiful and extremely cheap with 1GB of data costing less than $1. 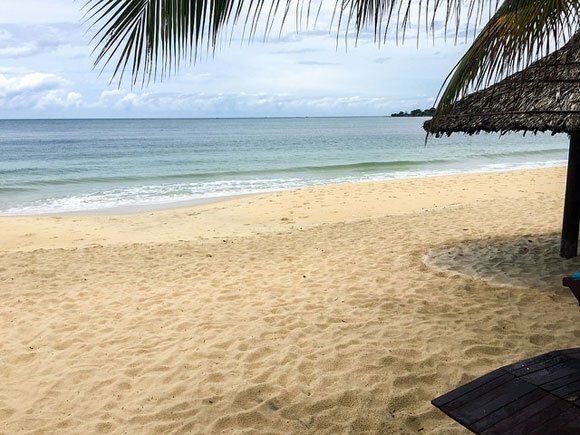 Aside from the beautiful surroundings, fresh ocean breeze, and tropical climate, Sihanoukville also has one of the most affordable costs of living for any beach destination in Asia. Obtaining a year-long visa is as simple as filling in a form at the airport and then having your passport processed by a local travel agent for the cost of about $285 a year. Unlike other Asian countries there are no hoops to jump or minimum income requirements to fulfil. As long as you can pay your way and respect local culture and laws then you are welcome to spend your retirement in Cambodia. And where better to retire in Cambodia than next to the ocean in Sihanoukville. The province has great weather, open access to the beautiful beaches, great deals on property rentals, and a mix of fun and relaxation that keeps people coming back for more. 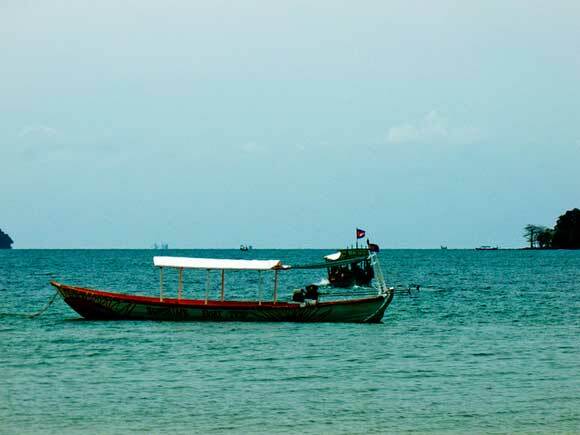 In Sihanoukville, expats are free to enjoy the lifestyle of their choosing. Whether it is morning, afternoon, or evening, there is always something happening here. Some people like to spend their mornings chatting with friends over an iced coffee before heading to the beach for some rest and relaxation. Pretty much everyone makes the most of the impressive range of hundreds of restaurants and eateries located all over the town. Freshly caught seafood is in plentiful supply and best enjoyed at one of the many popular Cambodian barbecue grills, where crab and squid take pride of place on the menu. And those with a hankering for a taste for international cuisine won’t be disappointed by the range of expat managed establishments specializing in everything from Italian, to American, Turkish, British, Australian, Russian and many other nationalities. It is easy to integrate into the local expat social scene simply by visiting the many different beach bars and pubs all around Sihanoukville, where new friends are easy to make. Locally there is plenty to do, with various activities available such as fishing, boat trips to the island, snorkeling, scuba diving, and kayaking. Nearby are also a number of scenic Buddhist temples as well as Ream national park and Kbal Chay waterfall, which are all must-see places. For those wanting to travel around Southern Cambodia, take a trip to the beach town of Kep, which is known as the “Saint Tropez of Southeast Asia” and has a fresh crab market where you can enjoy fresh-off-the-boat crab cooked for you on the pier. Also, much beloved is the riverside town of Kampot where tourists can enjoy popular watersports and a long street full of great restaurants and bars. And if you are visiting Kampot, then a trip up to the Bokor Hill Station atop Bokor Mountain is worth a visit to see its French colonial ruins, as well as its newly built casino and hotel. Sihanoukville benefits from having a great rental market that has grown significantly in quantity and quality in recent years. Many landlords offer apartments geared specifically at expats, which are fully furnished and come with Western-style comforts, such as a flat-screen TV, air-conditioning units, Wi-Fi, and even a cleaning service as part of the package. Depending on the apartment, prices can range anywhere from $200 to $400 per month, which is about half the cost of rentals in the capital city. Another option to consider is renting a villa which usually have good security, with the added bonus of extra room, nice garden areas, and plenty of space for parking a motorbike or a car. Prices for villas start from around $500 per month. While there are also a lot of new condominium and housing developments currently available for off-plan investment, it is generally recommended that expats wait until a development is ready to move into before assessing whether it is worth the money. Another benefit of renting versus buying is that you are not locked into any one location or area, whereas if you make a property investment you will not enjoy the same flexibility. The daily living costs in Sihanoukville are some of the lowest available out of the major cities in Cambodia. There are a variety of places to get your weekly shopping, including a Western-style supermarket, various minimarts, and also the popular traditional markets which are great for buying fresh fruit and vegetables. Aside from shopping, property rental, utilities, dining out, and social activities tend to make up the majority of most expat’s monthly spending.